Undoubtedly the trip's Renaissance Man, Adam Trigg is a Saint Cloud, Minnesota native currently living in Salt Lake City, Utah. For the past year he has been a field staff at Second Nature, a wilderness therapy program in central Utah, and resident ski bum at Snow Basin resort. Prior to moving out West, Adam worked at REI and guided summer canoe expeditions in Manitoba and Ontario from 2005 - 2009. He is also an established cross-country coach for Cathedral High School. Adam's resume of classic rivers includes; Berens, Pigeon, Bloodvein, Seal, Hayes/Gods, Back, and Kazan. Most recently, Adam has devoted his outdoor time to climbing and has visited routes in Minnesota, Wisconsin, South Dakota, Idaho, and his new-found home in Utah over the past year. Winchell Delano is another Saint Cloud, Minnesota native. He has degrees from Gonzaga University (BA in 2007) and the University of Kansas (MA in 2011), both in Environmental History. Since 2011, Winchell has worked as a senior field instructor and logistics coordinator at Second Nature, the same wilderness therapy program shared by the entire crew. Most recently, he returned to Les Voyageurs, a non-profit outdoors program, to lead a 45-day canoe expedition on the Coppermine River. Past paddling experience includes: Bloodvein, Pigeon, Berens, Missinaibi, Back, Hayes/Gods, Yukon, Pelly, Ross, Nahanni, and Thelon rivers. He was also a member of the Trans-Territorial Expedition in 2012, a 2600-mile canoe trip that lasted over 130 days and crossed Canada west to east (all above the 60th parallel). One of only two non-Minnesotans on the trip, Jarrad Moore is a Van Meter, Iowa native who studied outdoor education at Colorado Mountain College (AA 2010) and Anthropology at Iowa State (BA 2012). He has been working for Second Nature Wilderness Therapy Program since 2013 as a field instructor. Outdoor experience includes: rock climbing in twelve different states, most notably Moab, Joe's Valley, Red Rocks, City of Rocks, and Horseshoe Canyon Ranch. Jarrad has been climbing recreationally and leading trips based around climbing for four years. He has also participated in RAGBRAI the past five years. No surprise here. Daniel Flynn is from Saint Cloud, Minnesota. He attended Gustavus Adolphus College before transferring to Saint Johns University to finish his degree in biology (2013). Between classes, Dan worked at the local Cold Spring Brewing Company and Saint Joseph Meat Market. This past summer, he also worked as a soil scientist, testing and manufacturing soils in collaboration with Minnesota Mulch and Soil. Currently, Dan is working as a field staffer at Second Nature and preparing to spear-head the trip's media projects, most notably the documentary. He has worked in this capacity before publishing a portfolio with his pictures from the Hayes/Gods River. To view a selection from the Hayes River portfolio, please visit the blog page. Fresh off 1,800 miles by bicycle from Vermont to Iowa (including RAGBRAI), Luke Kimmes is another Iowan outdoor enthusiast. He has his AA in Outdoor Education and BA in Sustainable Studies from Colorado Mountain College (CMC), and will start his MAED in Natural Science and Environmental Education this fall at Hamline University. Like the rest of the crew, Luke's interests keep him moving around and busy exploring. 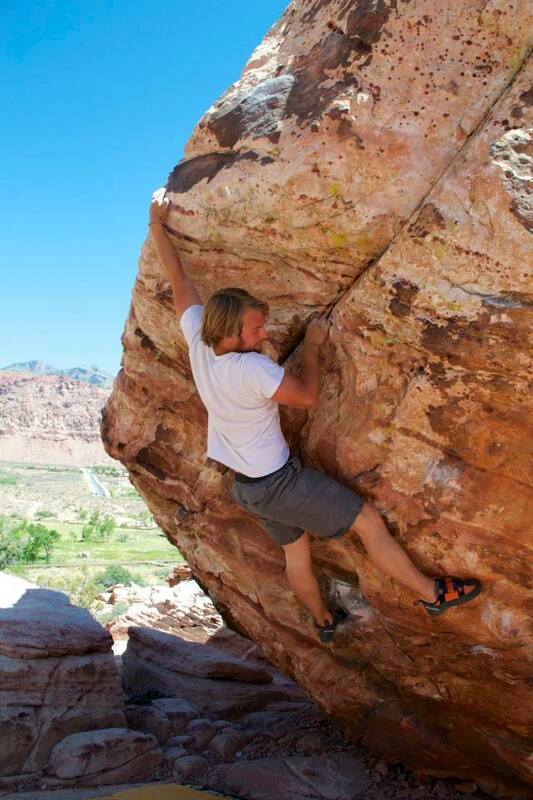 He is an avid climber and canyoneer, a hobby that has taken him all over the southwest. He combines these endeavors with his professional life by teaching Outdoor Education at CMC, which he has done the past four years. This does not, however, stop Luke from being a ski bum most winters. He rides locally at Steamboat in Colorado. John Keaveny hails from, wait for it...Saint Cloud, Minnesota. He was a student-athlete at Bemidji State University where he played football for the Beavers. He graduated in 2008 with a degree in physical education. After college, John worked at Talahi elementary school as a behavior interventionist, and coached football, softball, and lacrosse at Cathedral High School. He is now a senior field staff at Second Nature. In his free time, John enjoys hunting, fishing, skiing, and spending time in the great outdoors. He has paddled the Bloodvein, Missinaibi, and Hayes/Gods rivers.